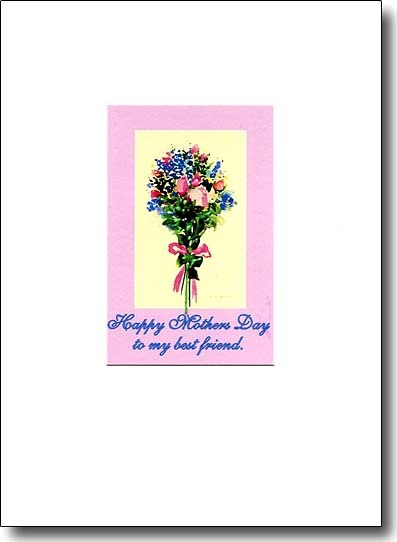 Mothers Day cards are such fun to design. 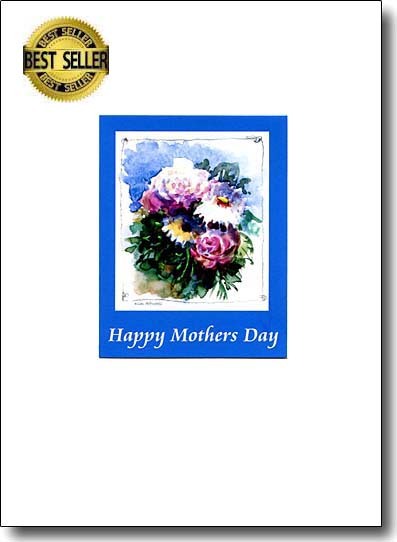 So many floral paintings are appropriate to honor Moms. She will love the uniqueness of enhanced cards. 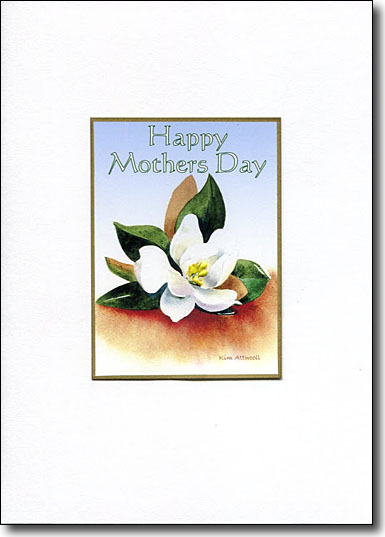 Southern Moms will appreciate the beautiful magnolia. the delicate embellishment is in the center of the flower. This lovely flower is often given as a Mother's Day gift. Why not accompany a cyclamen with this sparkly painting. 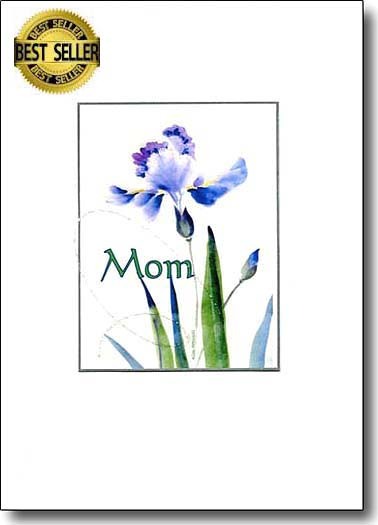 This Iris, painted on rice paper in the Chinese method makes a lovely Mother's Day Card. The image is enhanced with a sparkle whorl. How very fortunate we are when we are blessed with Moms we feel so close to. 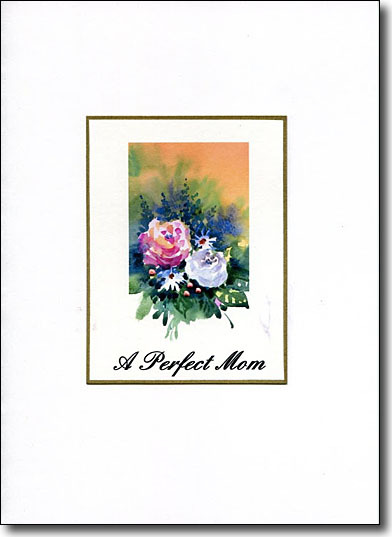 This card was made for my mom. 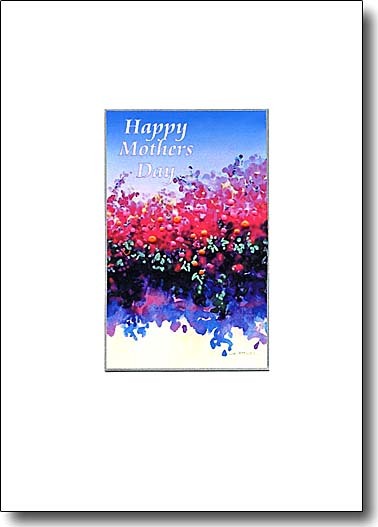 This soft vignette is embellished with dots of color and is a perfect Mother's Day card. This painting began by floating paint and oil on water. I turn the dried piece until I see an image emerge. 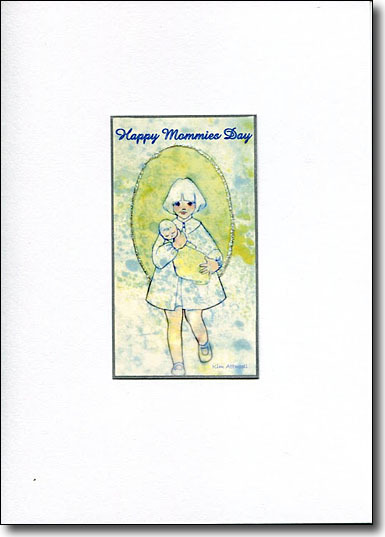 A little girl with her doll appeared and makes this a whimsical Mother's Day card. I was flying from Chicago to Seattle when I painted this image. 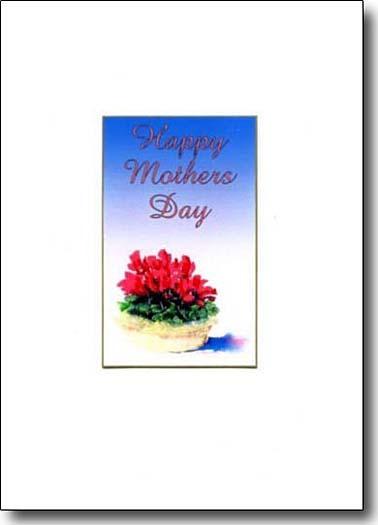 It became a rosy Mothers Day card and I embellish it with green leaves. Flower lovers will relate to this painting. A lush garden filled with Spring blooms will delight moms. 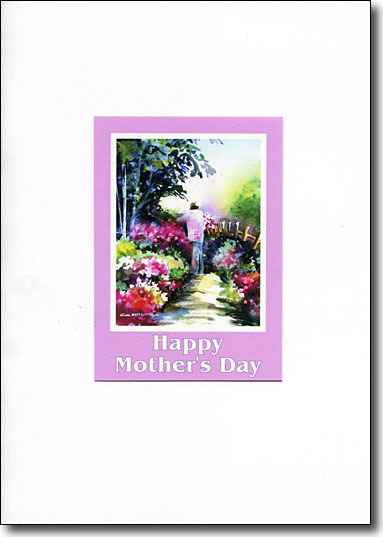 Humor accompanies this Mother's Day card. 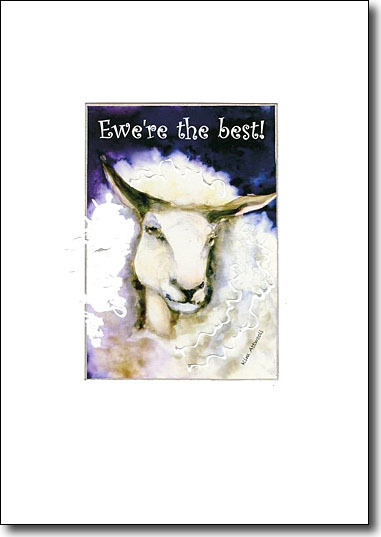 The painting escapes the silver edges with enhancing of the ewe's wool. Bougainvillea overhanging a stucco wall and casting colorful shadows is such a pretty image to give to Mom on her special day. 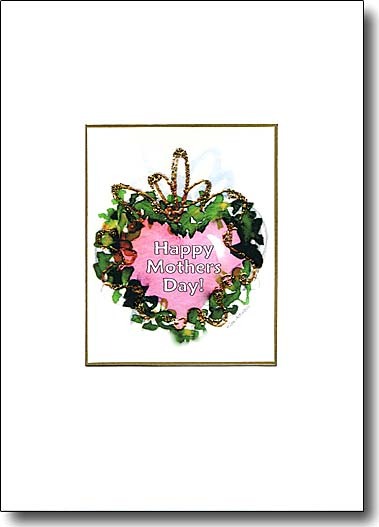 An ivy wreath wrapped in raised gold is a loving card to give to Mom. It's simple and its message is love. 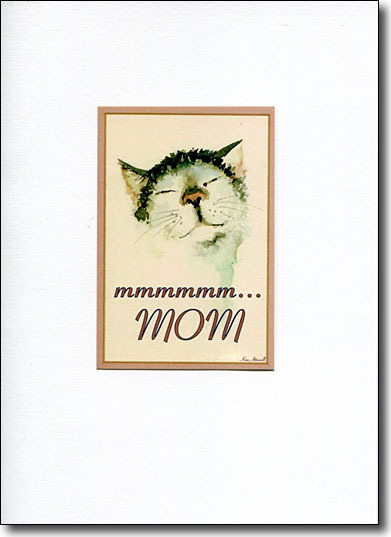 This happy kitty with sparkling whiskers and a wet nose is going to delight moms. Cat lover especially will cherish the contented look and the whimsical text.